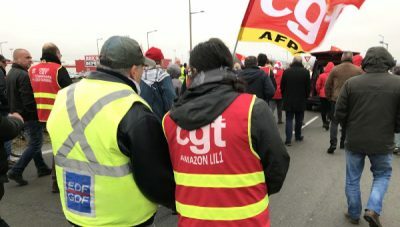 The Yellow Vest (in French: “gilets jaunes”) movement doesn’t need much introduction at this point, but for those who wish to have their memory refreshed: In November of last year, thousands of people in major French cities (and their peripheries) protested the planned increase in fuel duties, which the government introduced in order to keep promises made under the 2015 Paris Climate Accord. The demonstrations were violent and, after initial stubbornness, President Emmanuel Macron decided not to go forward with the measure. In some areas in France, a liter of fuel can cost you as much as $2.15, while your region’s train connections might be unreliable at best. The protests then mutated into larger demands for social justice, but due to their apolitical nature and lack of leaders beyond those who coordinate the logistics of the protests, there are multiple, occasionally contradictory calls to action. President Macron couldn’t be more upset: While he attempts to be the most thorough reformer of the European Union since its creation, he cannot even hold his own country together. Macron’s opponents on the question of the centralization of the EU have been quick to jump on the bandwagon. Italian interior minister and far-right leader Matteo Salvini expressed his support for the yellow vests, going so far as to organize a meeting. Paris responded quickly, calling the meeting “unacceptable” and withdrawing their ambassador from Rome. Macron’s legitimacy in the European Union will begin to fade if he does not manage to get the situation at home under control. But with the European elections coming up at the end of May, the yellow vests have every incentive to spit in his soup. His poll numbers reflect that: in the most recent survey, the “centrist” politician only garners 29 percent of the population in support. In an effort to reinforce security in Paris during Saturday’s protests, the government decided to activate 7,000 armed soldiers, deployed to defend strategic points. In a FranceInter interview that has since gone viral, General Bruno Leray confirmed that his soldiers would “open fire” if their lives or the lives of the people they were charged with protecting were in danger. Leray’s comments were met with outrage; the government soon replied that soldiers were only in the city to defend against terrorism and that no soldier would come into contact with a yellow vest protester. We don’t have the necessary equipment, because we only have telescopic batons and small pepper sprays, like the girls have in their bags. After that, we’re going straight to the assault rifle. He also added that if the soldiers were cornered and overwhelmed by protestors, “there could be deaths.” Indeed, with 7,000 armed military personnel in key areas of the Parisian center, it is very likely that many protesters could escape the authorized areas and run into the military. Furthermore, just think about the message conveyed by the French government employing the military against its own people, a frequent tactic of authoritarian states. We’re now facing terrorists. There are no more protesters. Deploying the military and rebranding protesters as terrorists is only the latest example of the degradation of civil liberties by this French government. In a FEE article from the beginning of February, I explained the new “anti-troublemakers law,” which gives law enforcement the right to search all protesters without reasonable suspicion, levies a €15,000 ($17,000) fine on people covering their face, and gives prefects the right to impose bans at their own discretion on an individual’s right to protest. The yellow vests aren’t saviors by any stretch of the imagination. Their demands aren’t the solutions that France needs, and their violence is often turned upon innocent shop owners and companies. This shouldn’t come as a shock to anyone, but you can protest your government without looting a Starbucks. Far more worrying than some violent protesters, however, are the long-term consequences of the government’s reaction. Macron is setting a precedent, and the laws that his parliamentary majority approve are here to stay. Civil liberties have been eroded: that fact is here to stay. Ironically, an initial call opposing government intervention in one aspect of the population’s lives has resulted in greater intrusion in the area of the protesters’ civil liberties.